Sarah Asper-Smith has the very best job. She runs a small exhibit design and development company in Juneau, but gets to travel all over the state meeting interesting people. 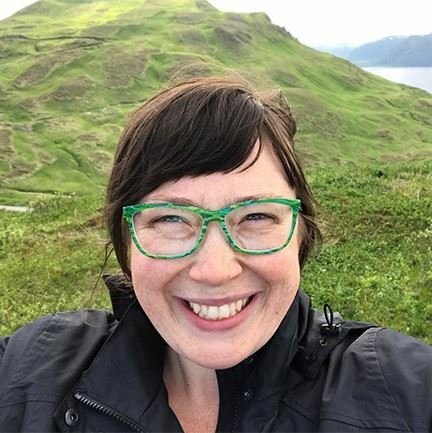 Sarah established ExhibitAK in 2010 after years of working independently and collaboratively as a curator, exhibit designer and graphic designer for museums and cultural centers in different parts of Alaska. She loves to help Alaskans tell their own stories. Sarah makes a home with her husband and dog in a window-filled house up 100 stairs on the side of a mountain. When not working on museum projects, she authors children’s books and cooks delicious food. She enjoys helping the Museums Alaska organization, as they help museums around the state.